Considering the company’s five years of continuous U.S. monthly sales records, it seems like Subaru has its product and marketing dialed in — more so than almost any other auto manufacturer. But the Japanese carmaker didn’t get to this point by resting on its laurels, so the next step is a completely new Impreza. From fresh styling to the brand-new global platform beneath, Impreza will lead the charge of new Subaru products we’ll see in the next several years. Coincidentally, this is also the first Impreza built in America. 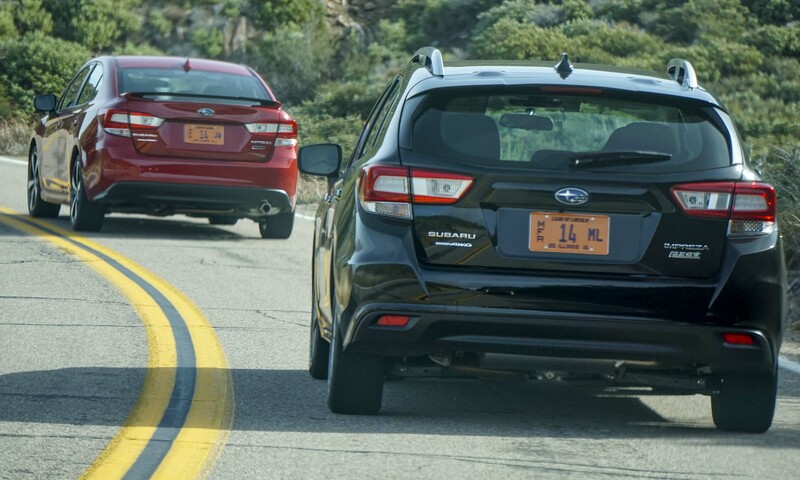 Impreza experienced a sales dip in 2016 versus 2015, but that might be due to it being the oldest model in the Subaru portfolio, making it ripe for a redo. 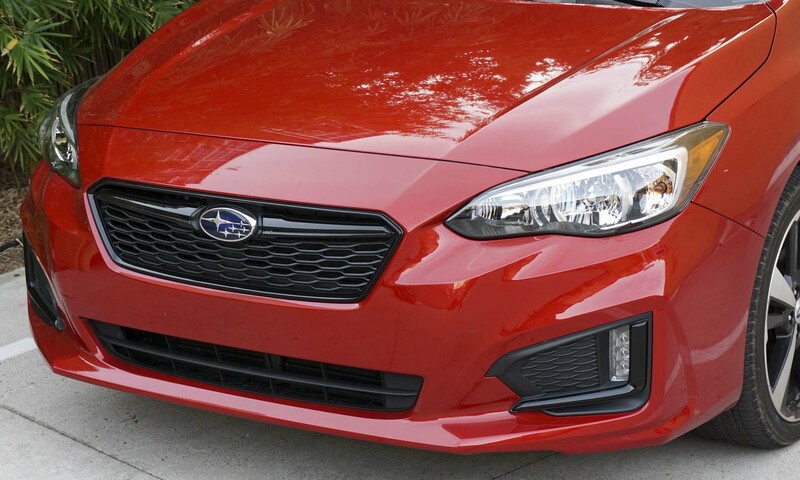 The look represents a new Subaru design language, featuring the familiar hexagonal grille and “hawk-eye” headlights. 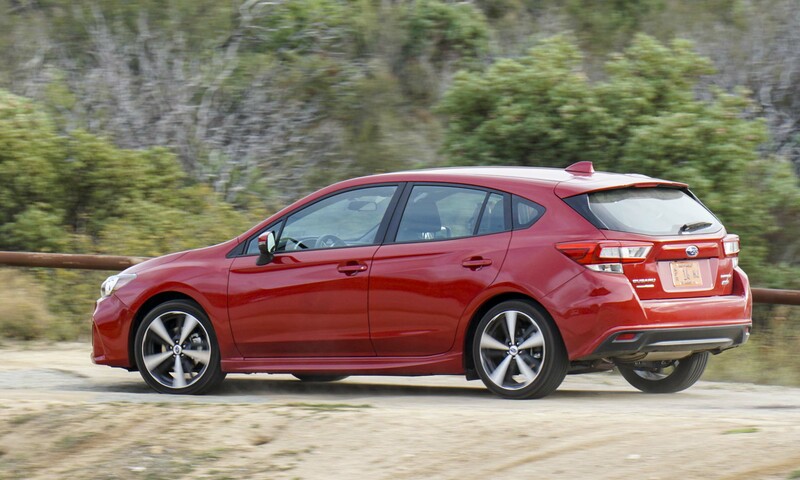 Wider and lower than the previous generation, the new Impreza has a strong, substantial stance. More important is the new global platform that will be the basis for upcoming new models. 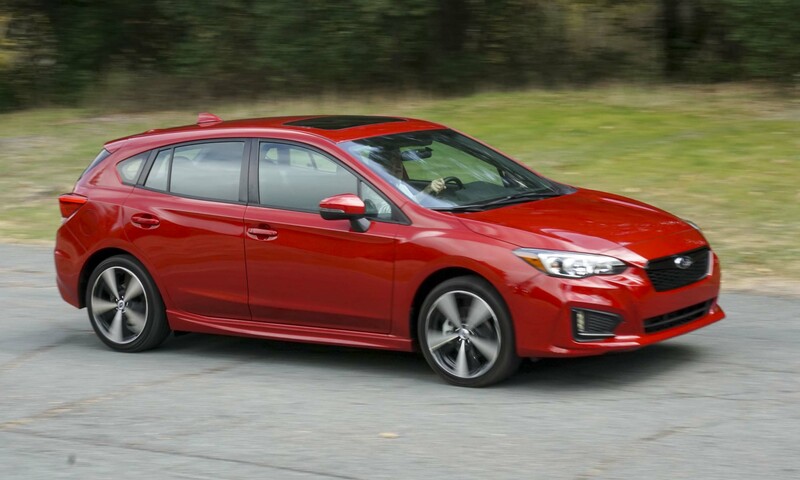 According to Subaru, the new platform was “designed to deliver significantly higher levels of driving pleasure, agility, crash protection and ride comfort.” Thankfully we can’t vouch for the crash protection, but after spending a day in this new Impreza we can assuredly say Subaru delivered on the rest. 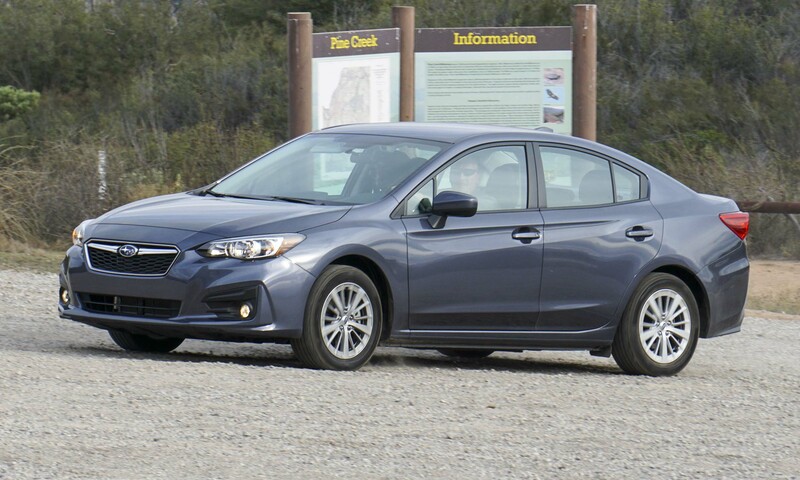 The 2017 Subaru Impreza is available as a 4-door sedan or 5-door hatchback. 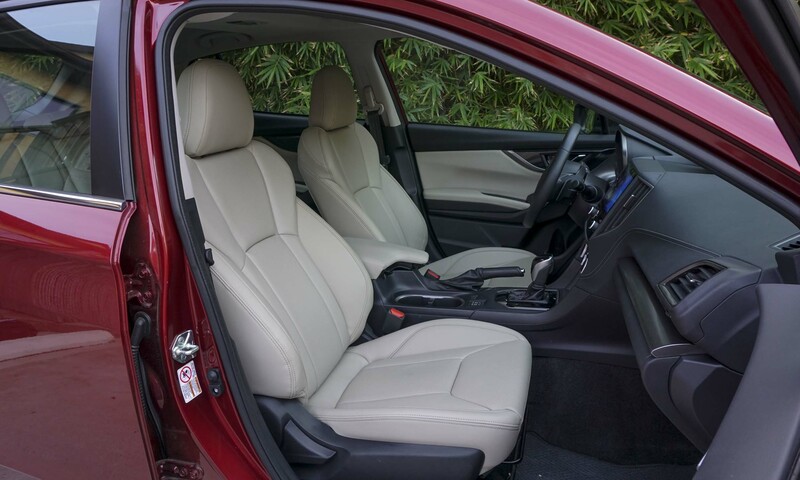 Trim levels include the 2.0i, Premium, Sport and Limited. 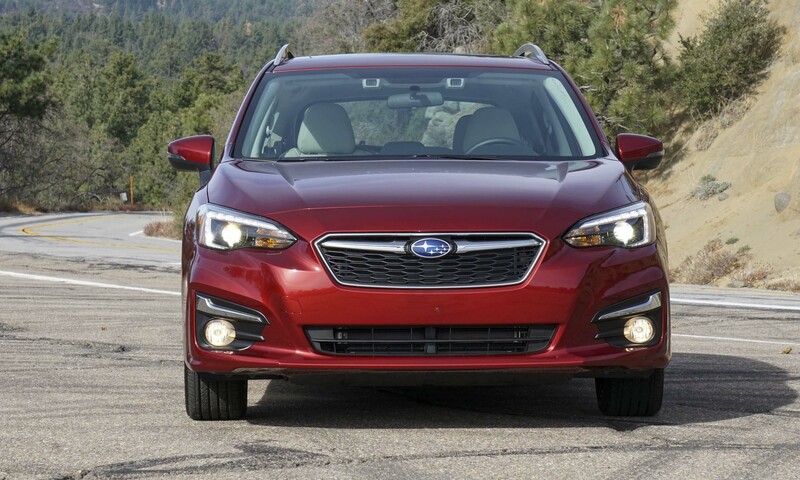 All Imprezas are equipped with Subaru’s full-time all-wheel drive and available with EyeSight driver-assist technology. Prices shown are for the sedan variants — moving to the 5-door adds $500 to any of the trims. 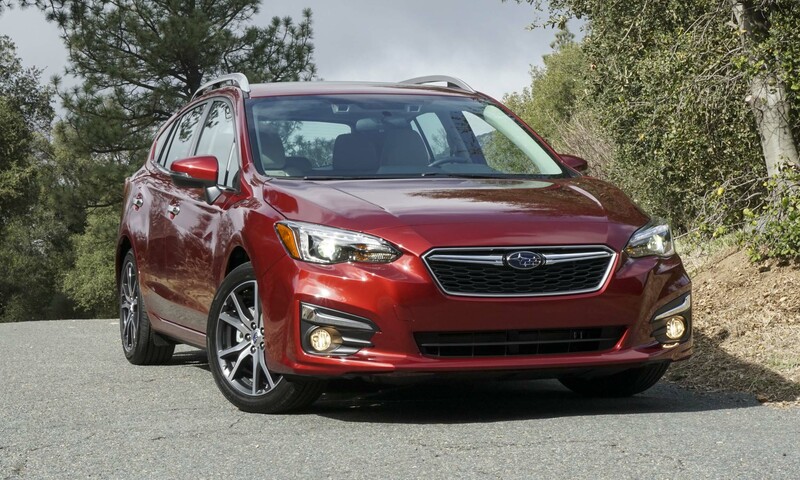 The base Impreza starts at a very competitive $18,395. 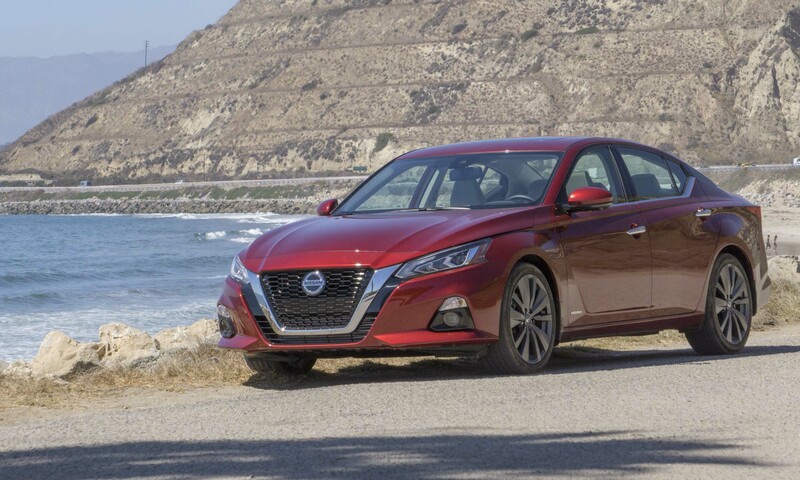 Standard features include air-conditioning with filtration, power windows and door locks, remote keyless entry, a rearview camera and cargo tie-down hooks on the 5-door. 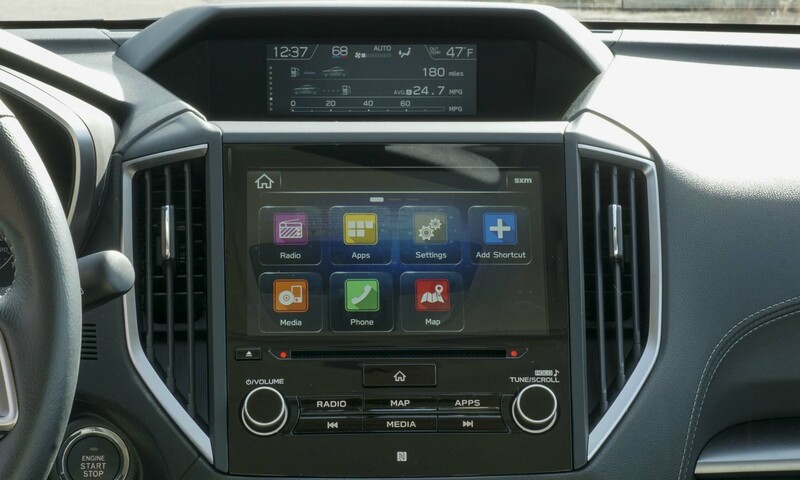 Other standard items are a 6.5-inch touchscreen display, Bluetooth hands-free phone connectivity and audio streaming, iPod control capability, and smartphone integration featuring Apple CarPlay and Android Auto. A 5-speed manual transmission is also standard — a continuously variable transmission is available for an additional $1,000. 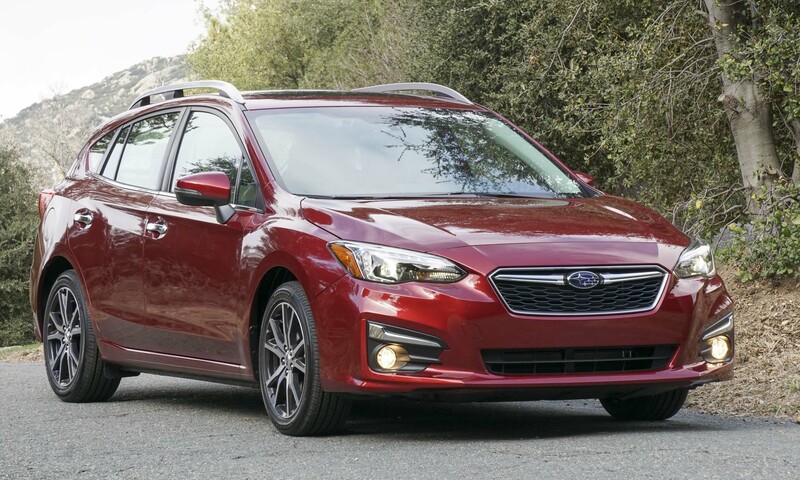 Priced at $21,195, the premium upgrades the base-level Impreza with heated front seats, heated mirrors, roof rails (on the 5-door), a 6-speaker audio system and 16-inch alloy wheels. Suspension dampers and a rear-suspension stabilizer bar are also standard, as is the CVT (no manual transmission is offered). The Premium can also be equipped with a power sunroof, steering-responsive fog lights and EyeSight Driver-Assist Technology. 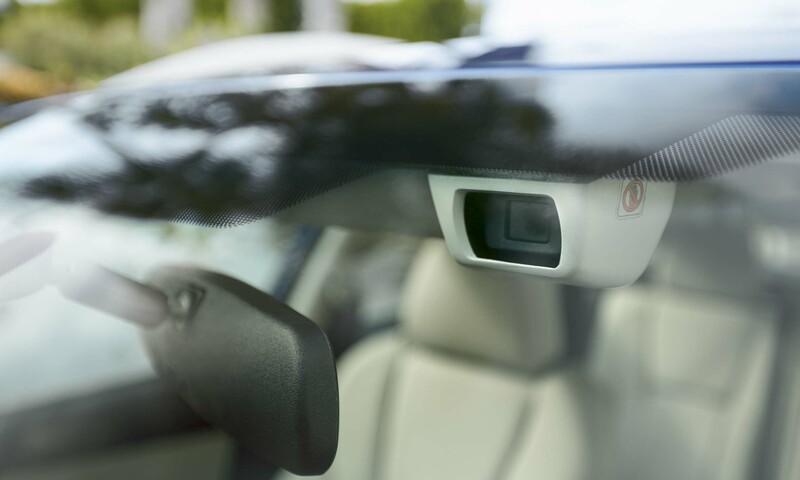 EyeSight is an innovative driver-assist system that utilizes stereo forward-facing cameras as well as other sensors. 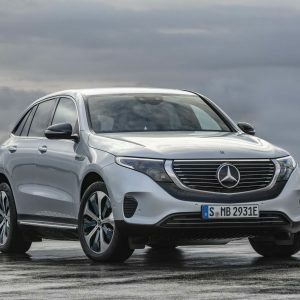 The system includes Adaptive Cruise Control, Automatic Pre-Collision Braking, Lane Departure and Sway Warning, Lane Keep Assist, Blind Spot Detection with Lane Change Assist and Rear Cross Traffic Alert. New for this year is Reverse Automatic Braking, which will stop the car if an obstacle is detected in the car’s path while backing up. 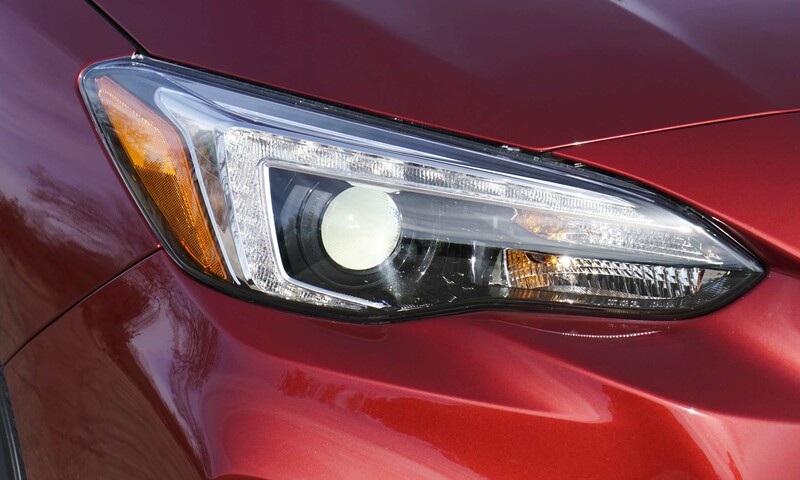 The previous-generation Impreza equipped with EyeSight earned the Insurance Institute for Highway Safety’s top ranking of Top Safety Pick +. 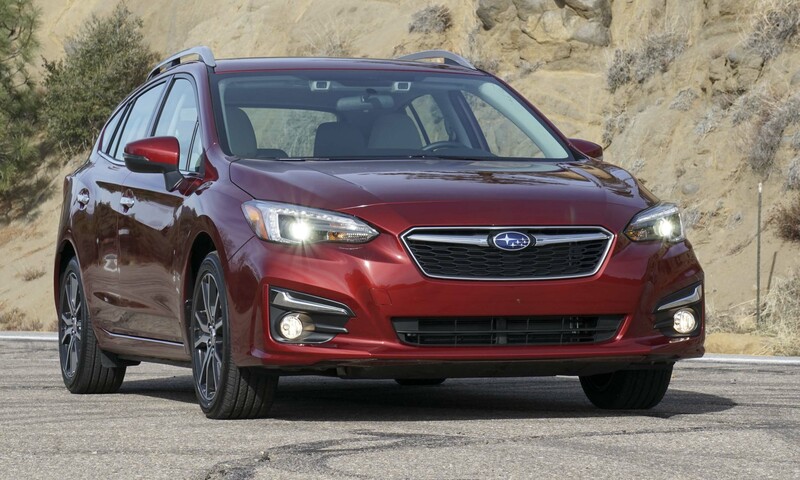 Subaru expects that this new model will also earn this top score. Subaru revamped the Impreza lineup so both the Sport and Limited are higher-level trims that take different directions. 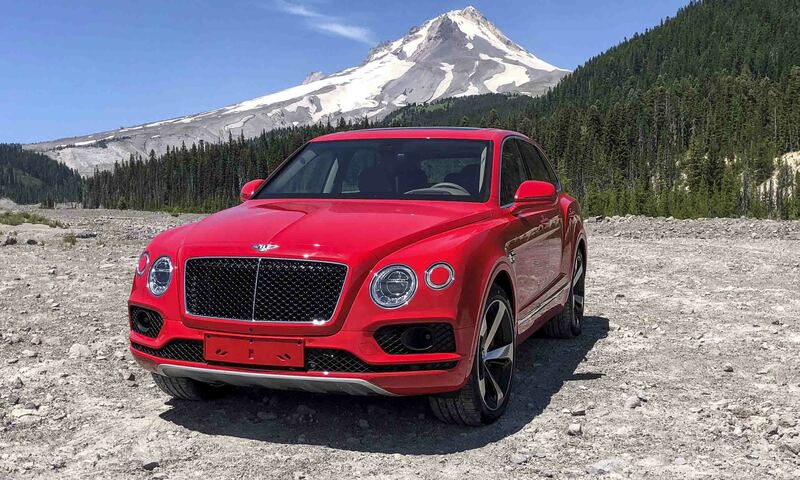 Priced at $21,995, the Sport upgrades the Premium with a sport-tuned suspension, active torque vectoring, aluminum-alloy pedal covers, red stitching, a leather-wrapped steering wheel, 18-inch alloy wheels and a rear spoiler. 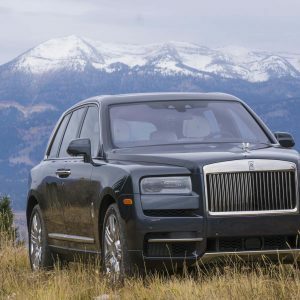 The Sport also gets an upgraded audio system that includes an 8-inch display, voice-activated controls, Bluetooth hands-free text messaging and a 4-month complimentary subscription to Sirius XM radio and travel links. A manual transmission is standard; however, the optional CVT is required for the EyeSight system. 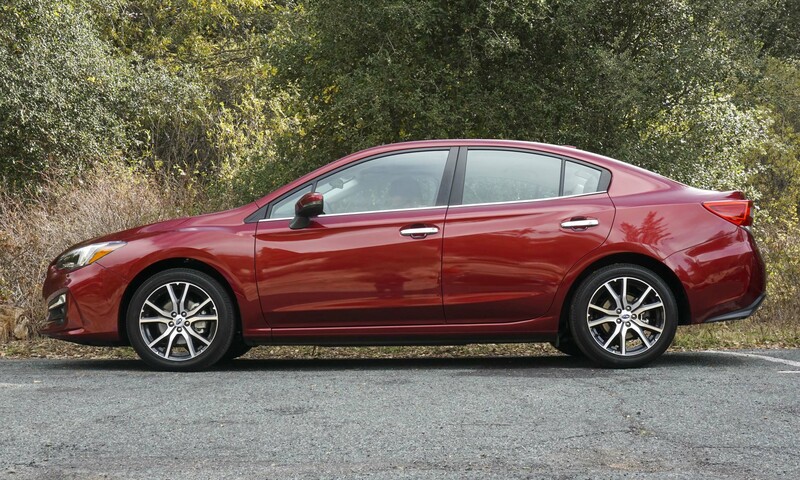 Priced at $24,094, Limited is the top-level trim of the Impreza lineup. It upgrades the Premium with a larger display screen and higher-end audio system, but also gets 17-inch alloy wheels, a power driver’s seat, automatic climate control, chrome door handles, silver stitching, LED headlights, keyless access with pushbutton start, leather trim and High Beam Assist with Steering Responsive Headlights that light up curves as the car steers into them. 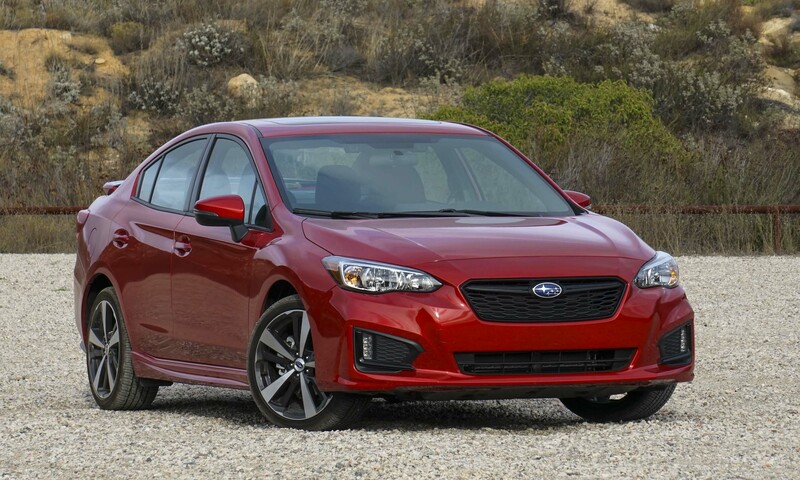 All trims of the Subaru Impreza are powered by a revised 2.0-liter 4-cylinder Boxer engine producing 152 horsepower and 145 lb-ft of torque — a slight increase compared to the outgoing model. 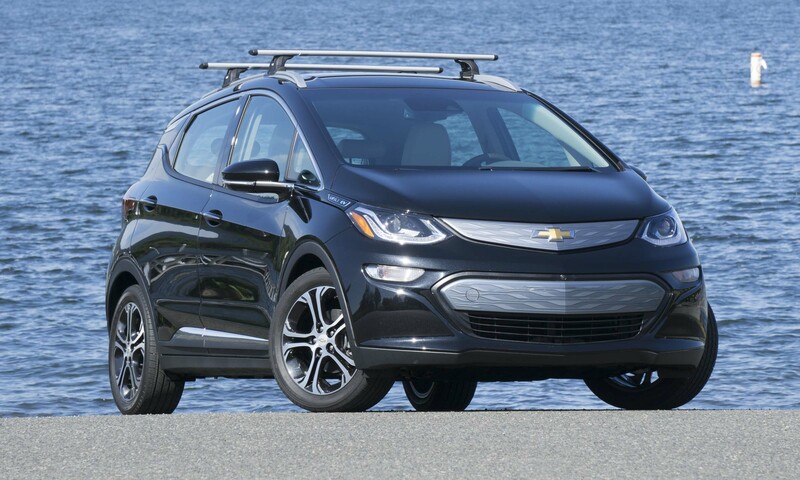 A 5-speed manual transmission is standard on the base and Sport trims — the Lineartronic Continuously Variable Transmission is available for base and Sport, standard on all other trims. 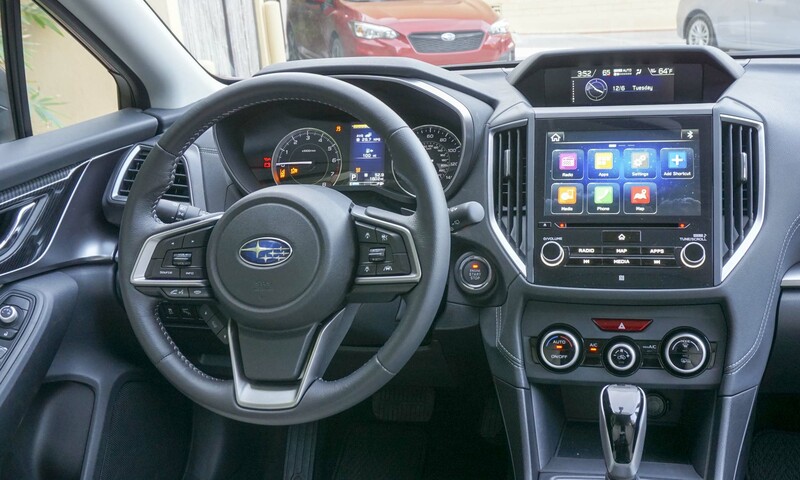 The CVT on Premium, Sport and Limited also features a 7-speed manual mode with preset ratios and paddle shifters. 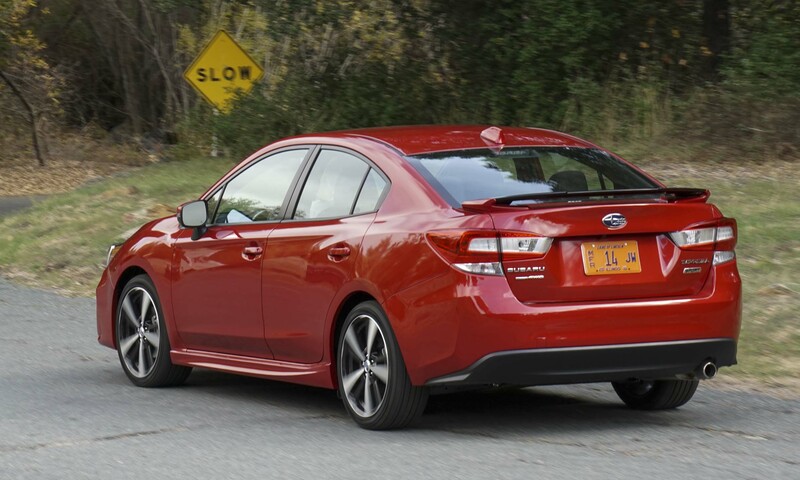 U.S. EPA fuel economy ratings for Impreza go as high as 28 mpg city / 38 mpg highway on CVT-equipped sedans (except Sport). The 5-door achieves slightly less with a rating of 37 mpg highway. 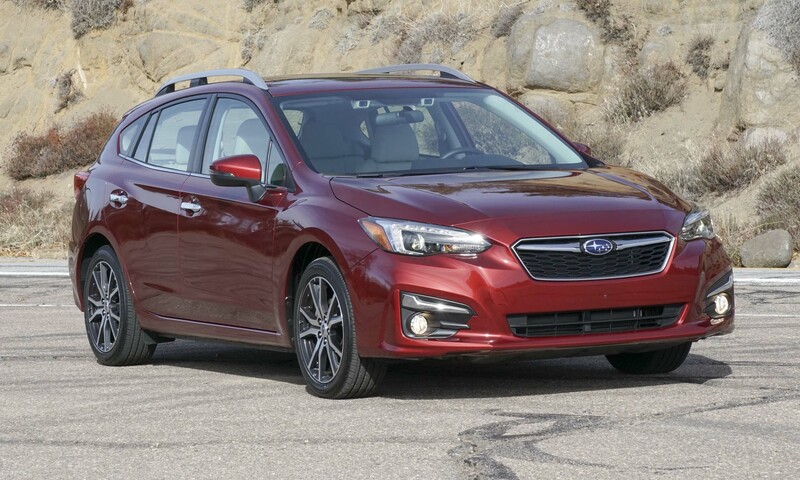 The Impreza Sport is the heaviest of the trims, likely the reason its fuel economy is slightly lower at 27 city / 36 hwy for sedan, and 27 / 35 for the 5-door. 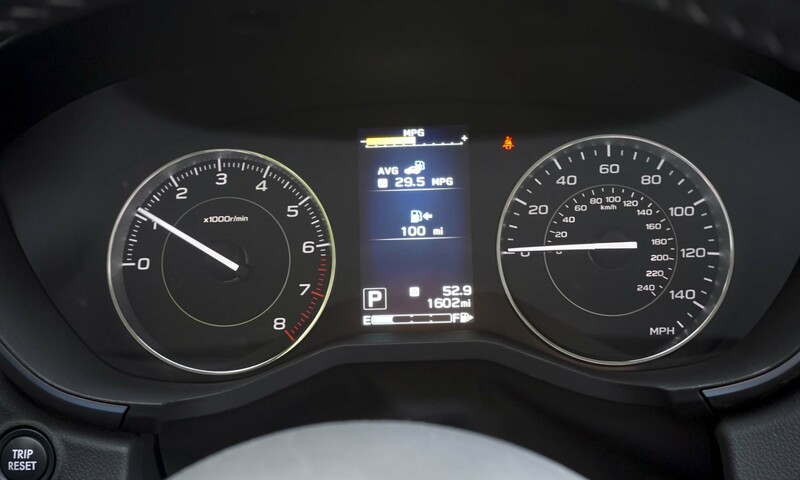 During our press drive through Southern California, we saw fuel economy numbers in the high 20s when pushing the car through winding, hilly roads; during a long stretch of freeway driving the readout displayed an impressive 40.1 mpg. 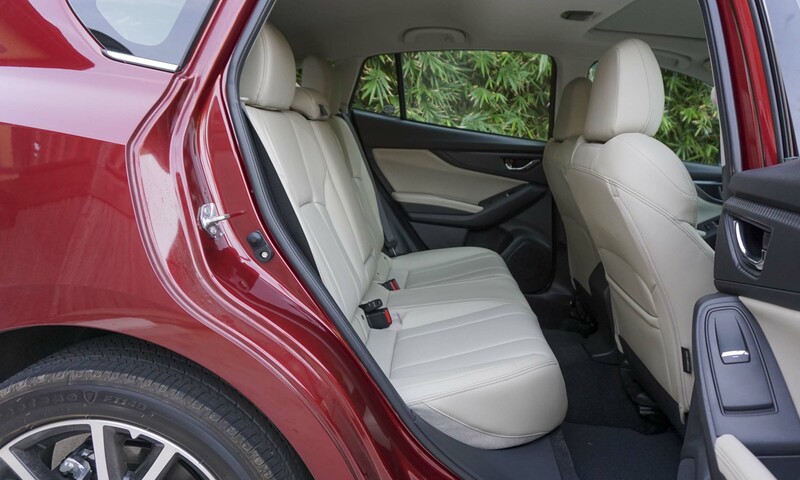 The new Impreza’s cabin offers more space than the previous generation, thanks to an increase in the car’s overall size. 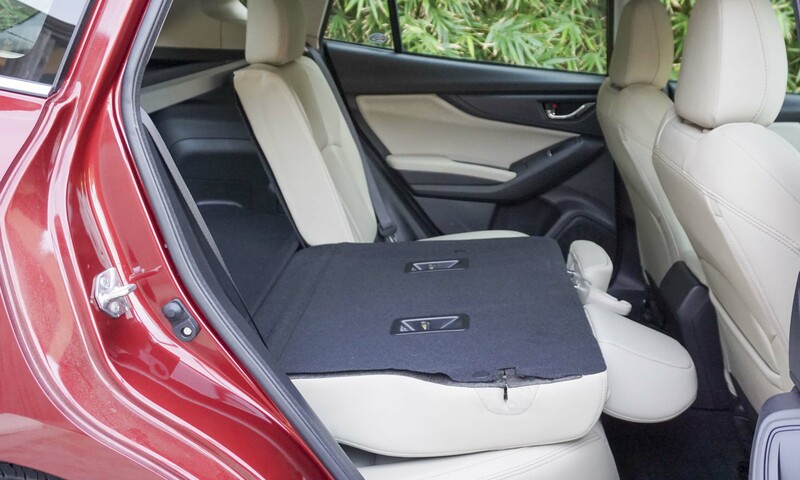 The new model is 1.6 inches longer and 1.5 inches wider, which translates to more legroom for rear-seat occupants as well as improved front and rear footwell space. Slimmer door panels provide more hip room both front and rear. 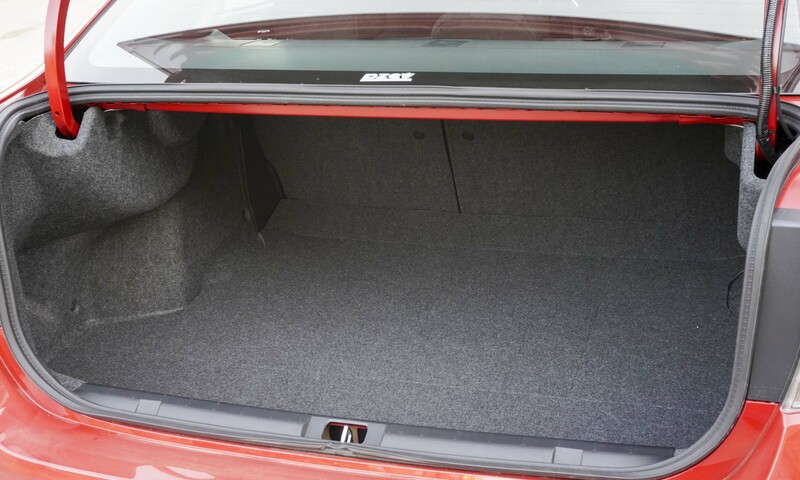 Impreza’s larger size also creates more cargo space for both the sedan and 5-door. 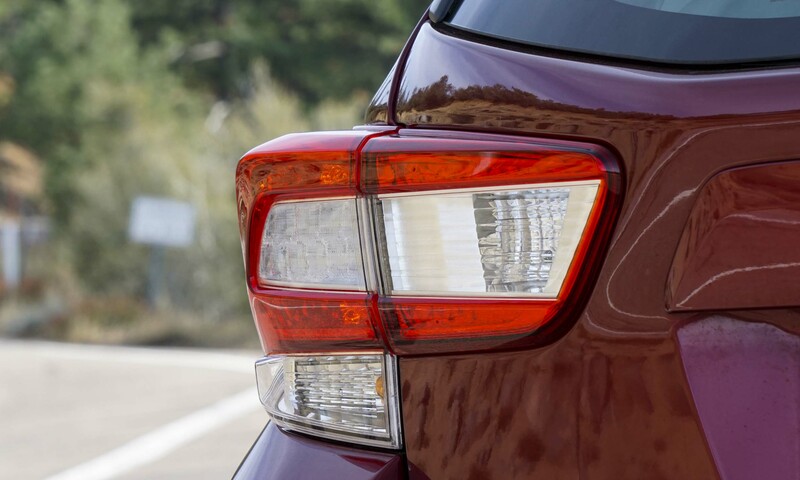 Redesigned taillights permit the cargo opening to be 4 inches wider on the 5-door (5 inches on the sedan). 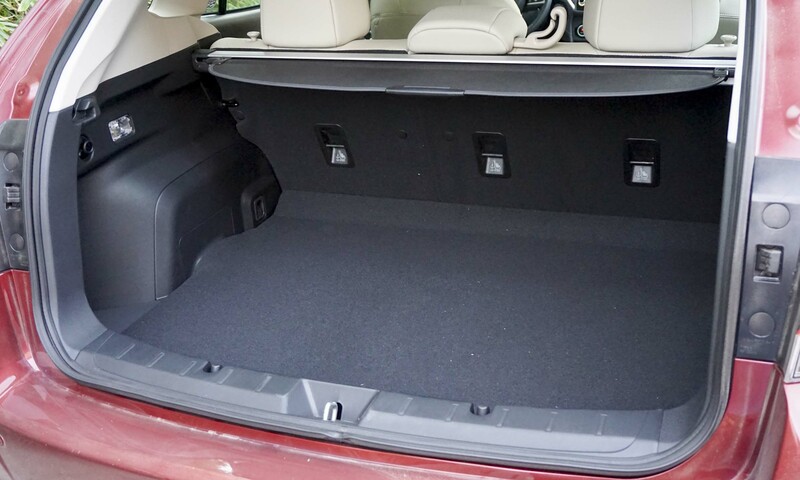 According to Subaru, the 5-door can handle three golf bags with the rear seats folded flat. 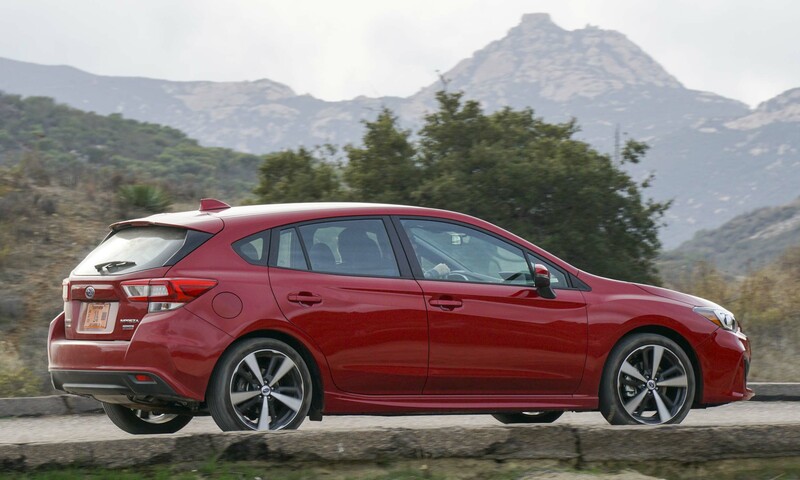 Impreza’s new seat design offers more comfort with good support — a definite improvement over the previous generation and an uncommon bonus for an entry-level model. 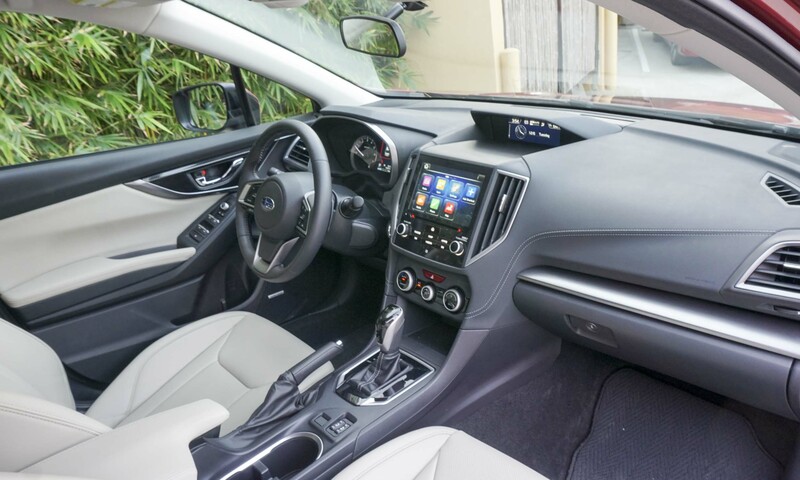 The dashboard stitching and leather seats on higher-end trims evoke a premium feeling beyond Impreza’s competitive price. Display screens have been updated throughout the cabin. The main touchscreen features a home screen with large, easy-to-read icons. The screen can be customized for a shortcut to whatever feature the driver wants in focus. There are redundant buttons (a good thing), as well as all-important volume and tuning knobs for the radio. The HVAC system has its own controls, making them much easier to access. 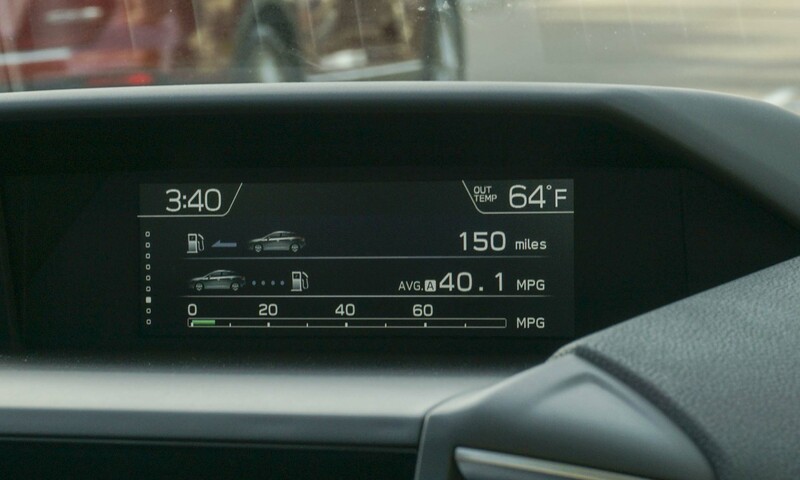 Impreza’s upper display also improves with a large, clear font and all pertinent information, such as fuel economy, range until empty, time, temperature and HVAC settings. 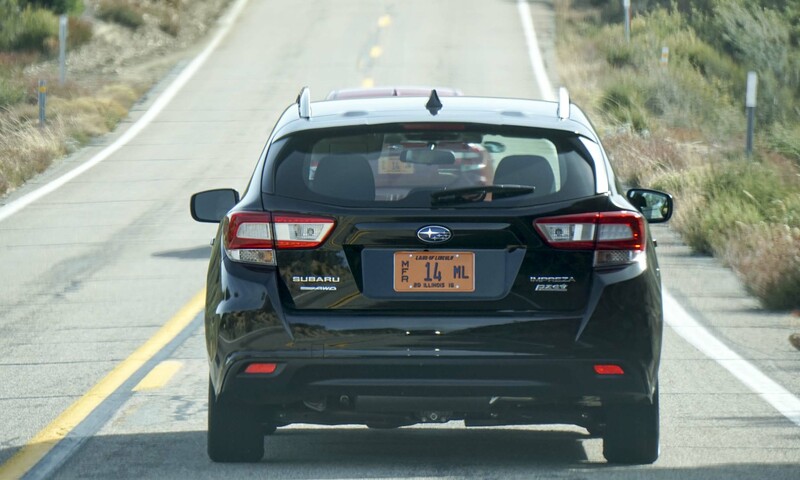 The moment we set off on our test drive we could tell the new platform is a winner for Subaru. 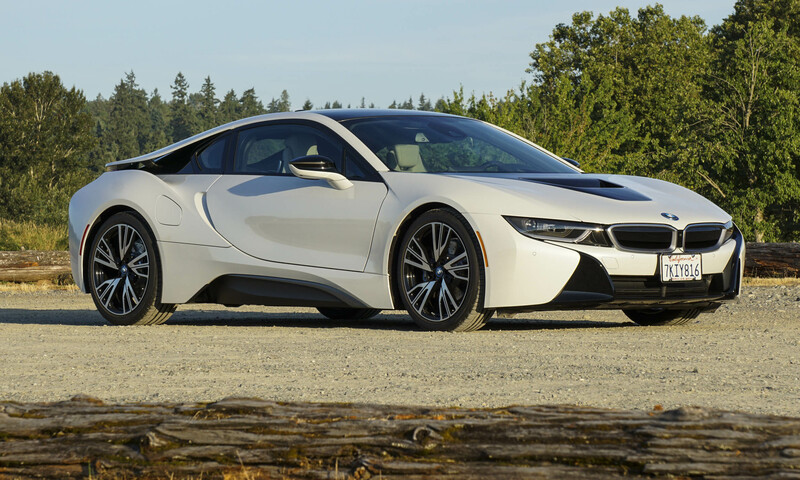 The car feels solid with a smooth ride — what drivers would expect from a larger, more substantial vehicle. 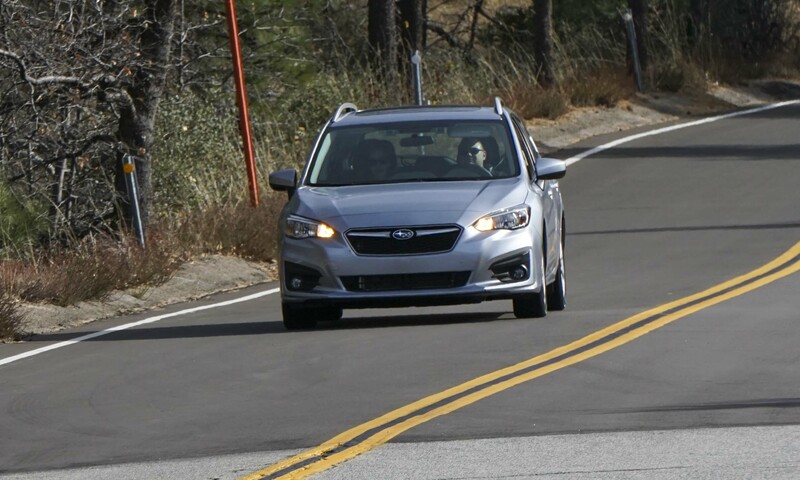 Handling is confident and steering precise; negotiating twisty roads near San Diego was great fun in the Impreza. 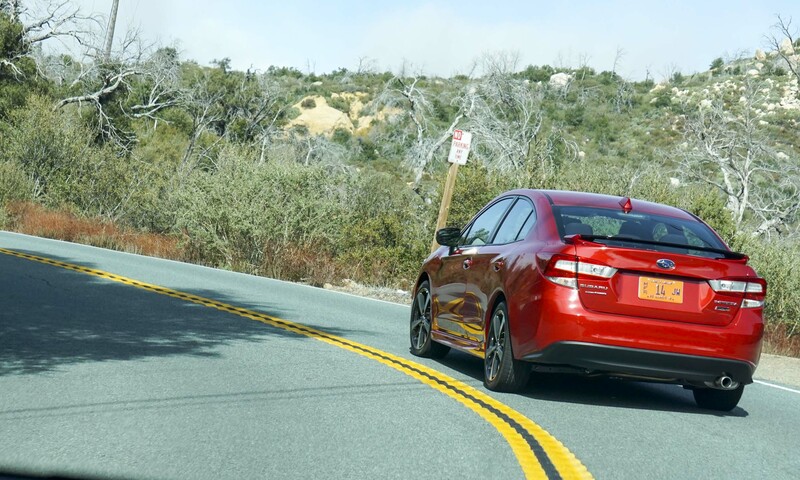 Cornering at high speeds on bumpy surfaces doesn’t unsettle the car, and there’s very little body lean. 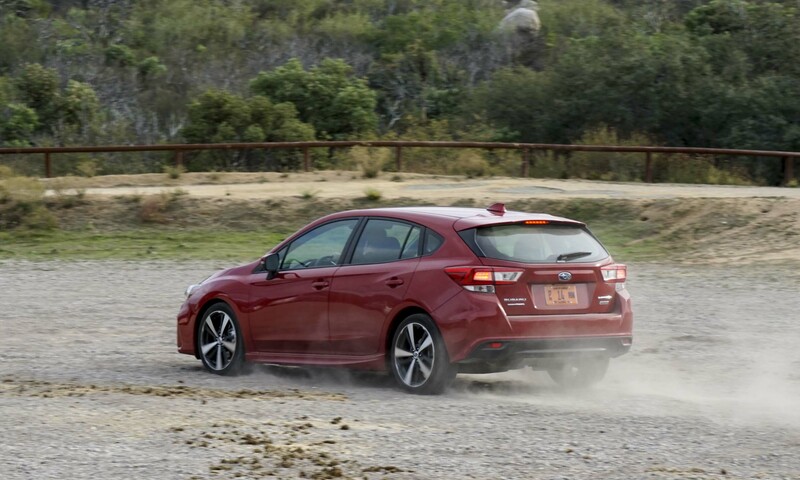 Even with modern-day materials and advanced manufacturing methods, it’s not unusual for compact, inexpensive models to be a bit noisy, although the Impreza is an exception. There’s very little road or wind noise, even at higher speeds. 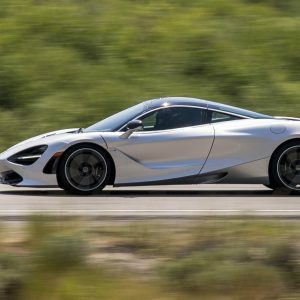 The 4-cylinder engine does get a bit buzzy under hard acceleration, but under other driving conditions engine sound is barely noticeable. 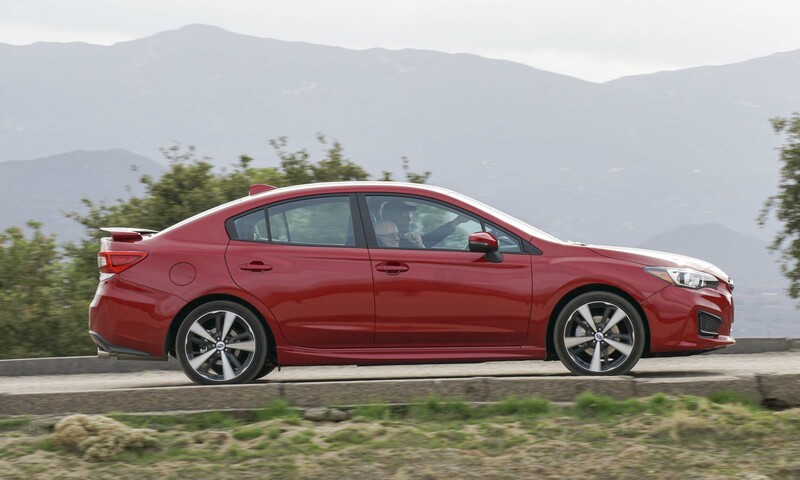 For most driving conditions, Impreza’s power is adequate, but acceleration from a stop is quite slow, and passing at high speed requires considerable space and time. That said, quickly sprinting to 60 mph is not what this car is about. 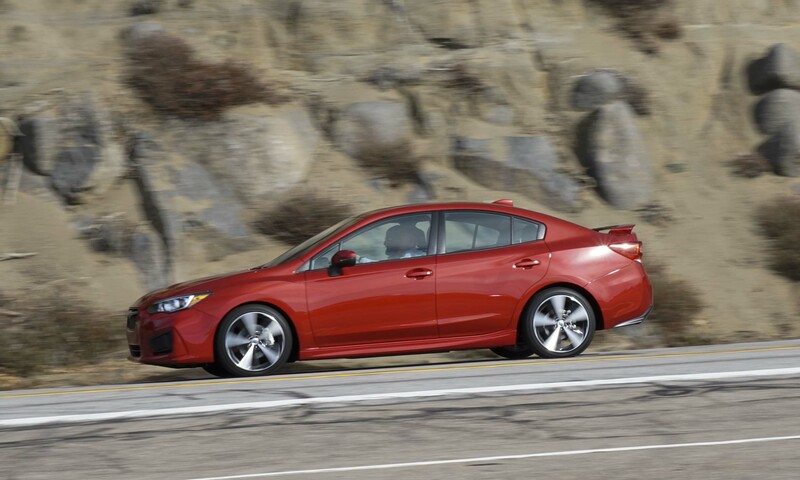 Accelerating to highway speeds is no problem, and the Impreza easily cruises along at 80 mph. While this may not be the car for the driving enthusiast, at some point new rally-inspired WRX and STI variants will built on this excellent platform, and after driving this Impreza we’re excited about the prospects these high-performance versions. Although we’re not big fans of CVTs, Subaru does build one of the better continuously variable transmissions on the market. 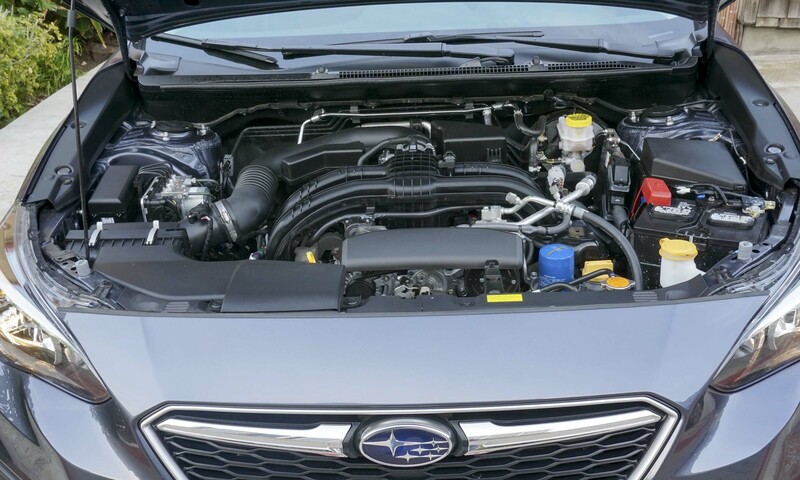 Like other CVTs, hard acceleration results in an annoying revving up and down within Impreza’s engine. With paddle shifters, the simulated gear changes are relatively quick, although it’s unlikely that drivers will use the mode during everyday driving. Unfortunately we didn’t get a chance to test the manual transmission, but we’d expect it to be quicker off the line as well as more engaging. 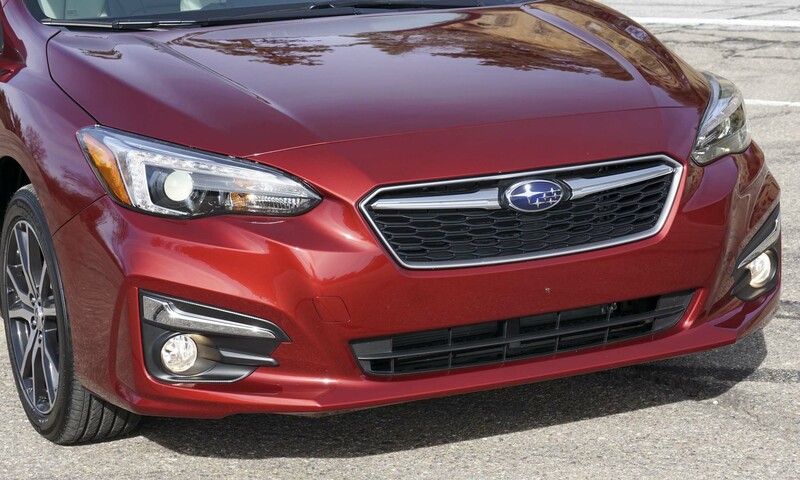 Subaru knows the Impreza has a tough time competing with the two top sellers in its class — the Toyota Corolla and Honda Civic. However, for the price the Impreza is an amazing value. 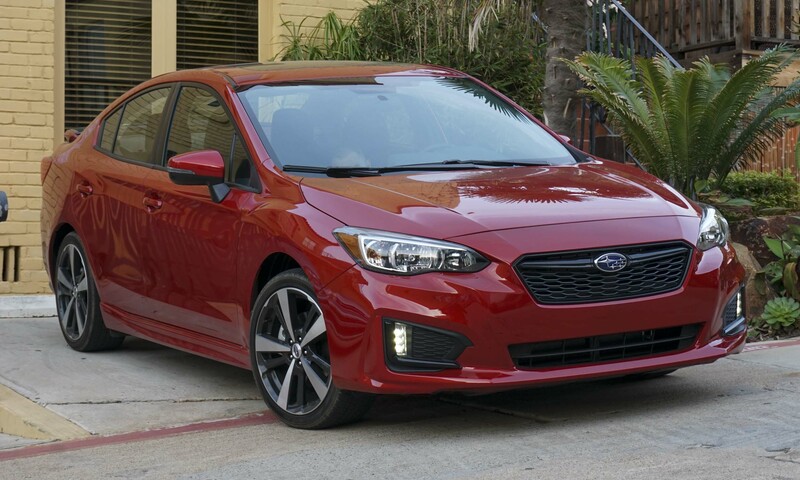 With a stylish exterior (we especially like the 5-door), spacious interior, good performance, excellent fuel economy and full-time all-wheel drive, the new Impreza should be on the short list of anyone shopping for a small passenger car. 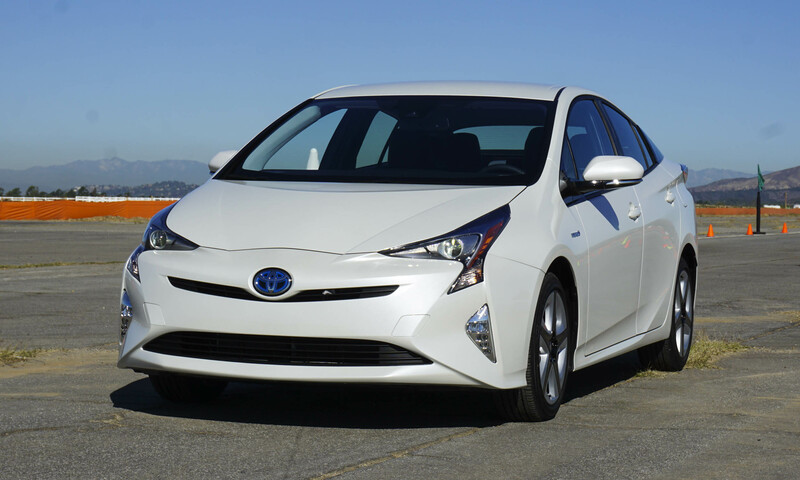 Pros: Great new styling; solid ride; fuel-efficient AWD. Cons: Slow acceleration from stops; CVT. 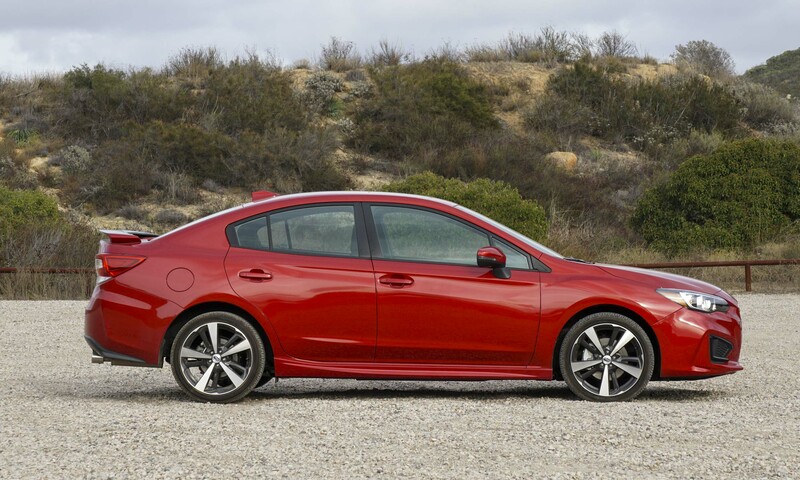 Bottom Line: This new Impreza is one of the best compact offerings on the market.